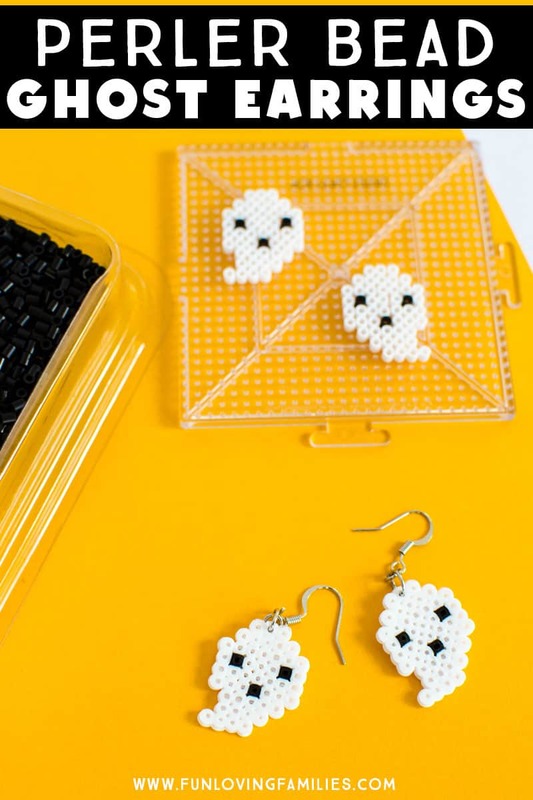 What better way to accessorize one of our favorite holidays than with these adorable Halloween Perler Bead earrings. 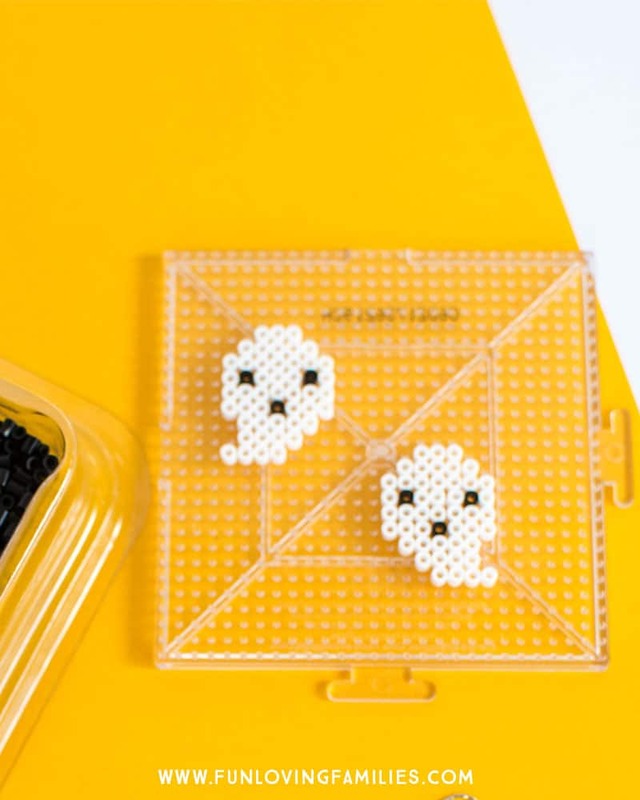 They’re super-easy to make with mini Perler beads and some basic earring findings. Keep reading to learn how! We’ve been back at it with the Perler Beads! 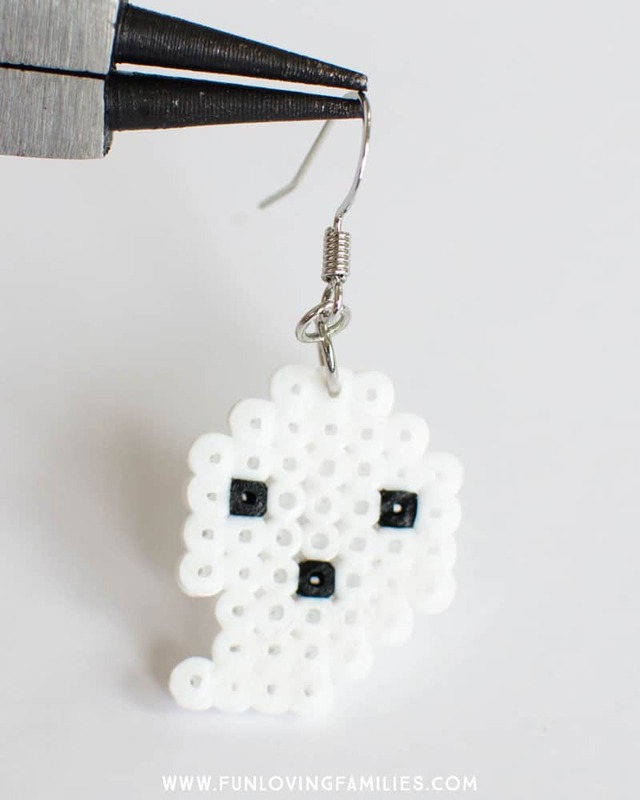 I know I already made a set of Halloween Perler Beads, but I recently picked up a set of mini beads and I had to make a set of ghost earrings. 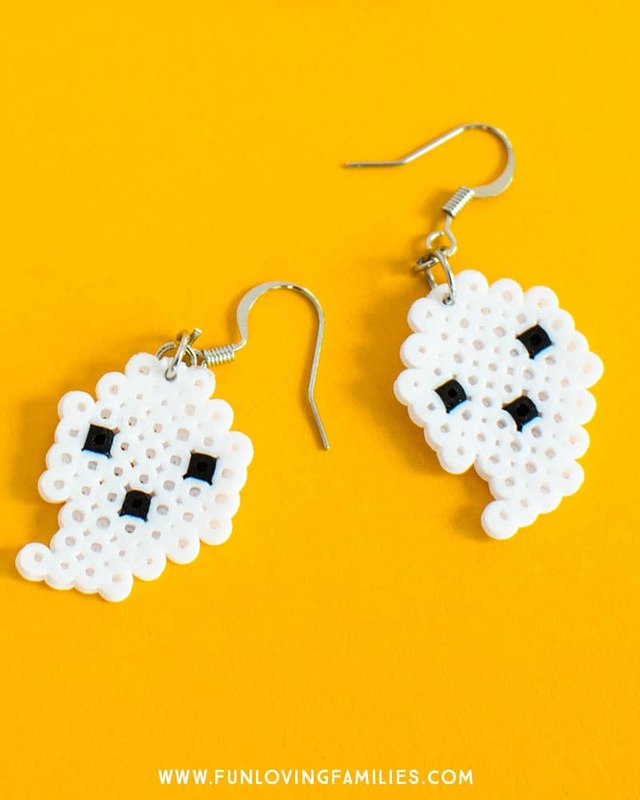 I made a pair for each of my tween girls, and I can guarantee you there will be more Perler bead earrings in our future. Ready to see how I made these? 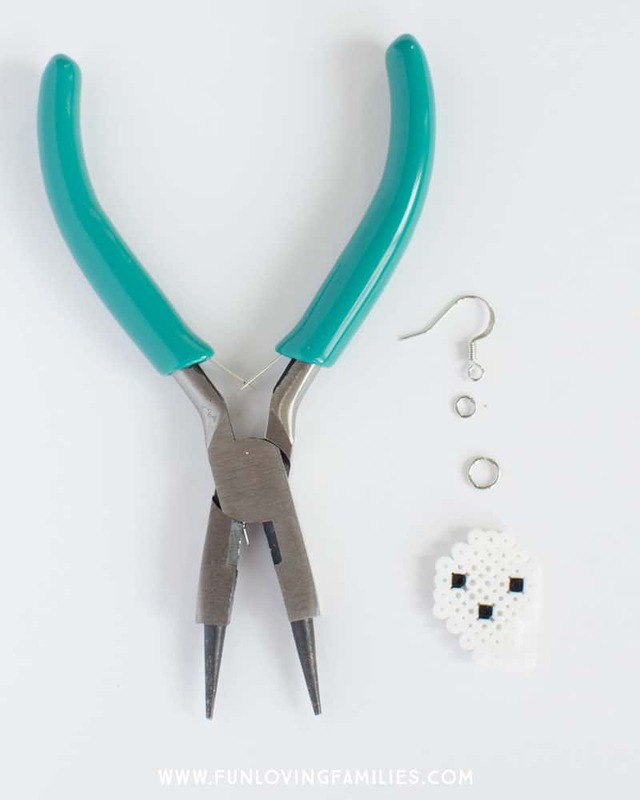 For each earring, you’ll need to have the pliers, two jump rings, and a fish hook earring. 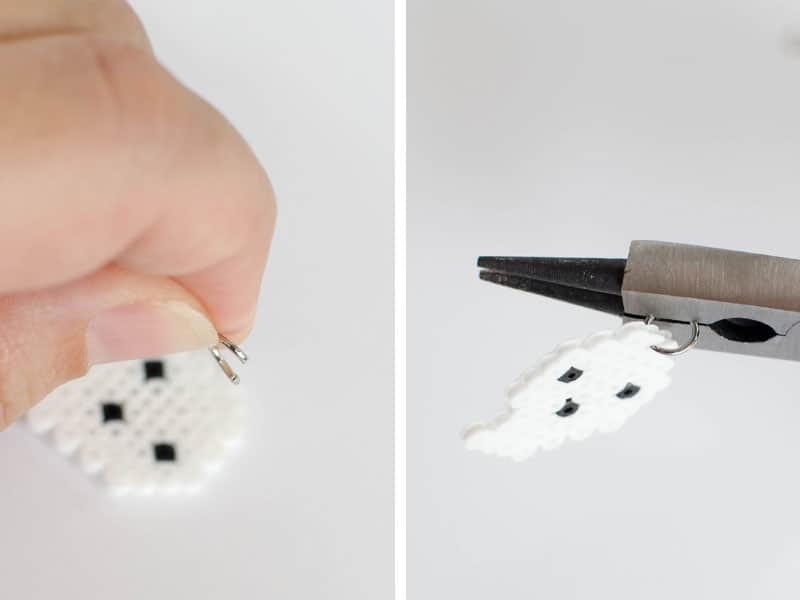 Create your ghost (or other design) on the mini pegboard and iron just long enough for the beads to melt together. 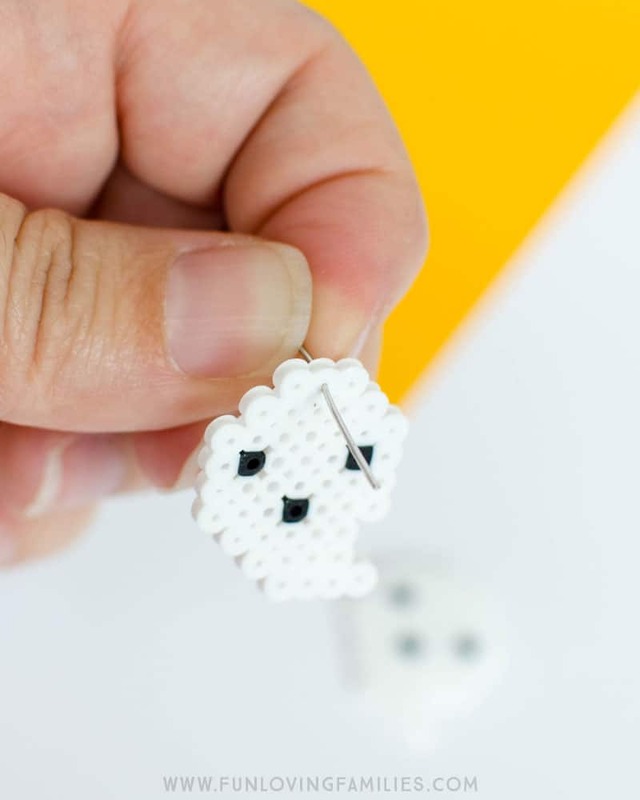 Use an end of an earring or a metal pin from the earring findings kit to clear the whole in the top center bead. This part can get a little fiddly. Use the pliers to open the larger jump ring, and thread it through the hole you made. Then, use the pliers to close the jump ring back. Continue by attaching the smaller jump ring, and then the fish hook earring. Make another so you have a pair! 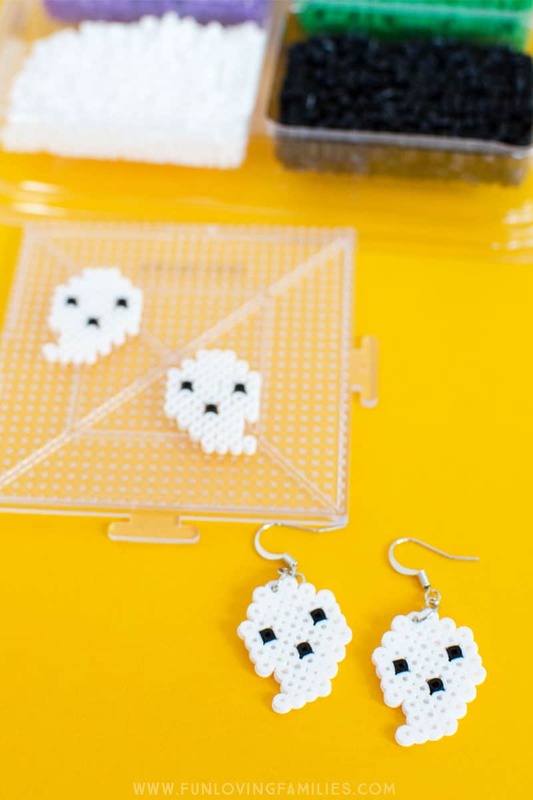 My girls loved these Halloween Perler bead earrings, and couldn’t wait to wear them. At 10 and 11, they’re definitely capable of making these themselves. In fact, I think this would be a great tween or teen craft idea for Halloween parties or sleepovers. Have fun, and happy crafting!